In selecting an agent to sell our house in Leslieville we interviewed three different agents. We had worked with two of them before but chose to interview Andre because we were impressed by his sales of nearby properties. Andre has an incredible understanding of the local market & best knew how to market to the likely buyer of our property. We immediatley noticed that Andre wants to do everything perfectly. He's a sharp retailer who understands the value of branding & packaging. This is strongly evident in his personal marketing & we can attest that he put in a similiar investment into selling our house with an elite crew of stagers, photographers and other professionals. It was very simple to sell our house with Andre because we always trusted his ability to execute at every stage of the process. He is a consumate professional. We recently used Andre and his team to sell our home in Leslieville. From our first meeting we were impressed by his professional demeanour yet comfortable and welcoming personality. We felt relieved and confident drawing on his expertise and experience to assist us in this very large decision. Every detail was taken care of and we had a very positive experience. We had very positive feedback on a personal basis from family and friends based on the preparation and staging of our property as well as what I understood to be positive responses from the general public at the open houses and the house sold immediately. There were no negatives. I highly recommend Andre if you are considering a sale of your property in the near future. Working with Andre was a great experience - he was very friendly and had a lot of patience for my indecisiveness. Andre provided helpful advice specific to the Toronto resale market and was always upfront with the pros and cons for each property we viewed. With Andre's guidance, I always felt like my decisions were well informed. I will definitely call Andre in the future and recommend him to anyone who is looking for a real estate agent. I first met Andre in 2009 when my mother was downsizing to a condo. 5 years later when my wife and I were ready to look for a bigger house there was no question who we would be using as our real estate consultant. I say "consultant" rather than "agent" because Andre is so much more than a real estate agent. He met with us 6 months before we were ready to list our home and outlined what the process would look like as well as gave us advice on what we would need to do to get our house ready for the market. When the time came to list our home, himself and his team took care of home inspection, staging, photos, video and high gloss brochure with a floor plan, all in a very professional manner. His negotiations on both the sell and buy side were on point, we sold over asking and bought below asking, primarily due to his connections, and knowledge of the market. We were extremely pleased with the entire process, and in particular with Andre and his team's patience and would definitely recommend him to anyone looking for a REAL real estate agent. 3) POSITIVE - Sometimes looking for a home can be frustrating and Andre always reassured us that he would find the right home for us -- and he was right. We found the perfect place. 4) KNOWLEDGEABLE - This was the thing that set him apart. Andre knows a lot about how much money it costs to renovate homes (because he has multiple properties himself). As a result, you sort of get a home inspector/contractor consultant as well as a realtor. We did a 1-month renovation on our home and all of the costs were in line with what Andre suggested. Very helpful. Andre is the best. Hire him. Andre is a fantastic agent! I was a first home buyer and new to Canada and he made the process very easy and helped me find a great place! 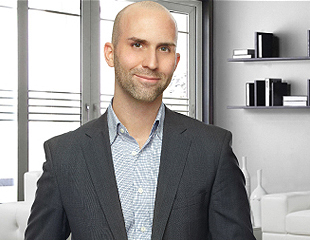 He has an excellent understanding of the industry and the Toronto market and helped me get to know different areas. I appreciated that he picked up on my likes and dislikes quickly and really walked you through the process providing lots of clear information so nothing was unexpected. He goes above and beyond to make things easier for his clients and provides advice on everything -location, homes, mortgages, design aspects and insurance options to name a few. He is very patient and will give you freedom to make a decision without any pressure but will also provide honest feedback if he thinks a property or price is not a good option for you. I would wholeheartedly recommend Andre to anyone looking to buy or sell! Andre is very knowledgeable and experienced. I have worked with quite a few agents, both when I was buying and selling real estate and Andre was far and away the best realtor I have ever worked with. He is extremely professional, pleasant and capable. He staged my place beautifully, at no additional charge, and it sold in 8 days for the price I wanted. If you are looking for a good realtor, I can totally recommend Andre and I wouldnt hesitate to hire him again for my next venture into the real estate market. As a first-time home buyer, I had zero clue about anything to do with real estate. Upon the recommendation of a friend, I relied on Andre to help me navigate the Toronto real estate waters. And navigate he did! Andre was patient, listened to my needs, and found ideal properties to match my tastes and budget. Crucially, he not only recommended great places to live, but also which places to avoid. His knowledge of Toronto real estate is second to none. Andre was prompt with every interaction, whether it was replying to an email or showing a property. I've never worked with another agent, but the horror stories I've heard from friends about their fly-by-night agents made me VERY happy to have Andre. When it came time to actually make a purchase, Andre recommended a great mortgage broker and real estate lawyer to help me complete the transaction. I highly recommend Andre and would not hesitate to use his services again! All in all a great agent and a great person -- affable, hard working, and knowledgeable. Hire him! Andre helped my husband and I with the purchase of our first home over 6 years ago and recently with the buy of our new home. He is extremely professional and knowledgeable. He is very prompt with his follow up and never pressured us. As an added service-Andre staged our home beautifully for the sell of our property without any additional expense to us. I recommend him to all of my friends and family. He has truly exceeded our expectations! There are just not enough positive things for me to say about our experience working with Andre. We were referred to Andre from a friend who's worked with him on several housing sales/purchases and was very happy. To be clear, Andre helped us purchase our first home so I've not worked with other real estate agents. However, prior to deciding to work with Andre, my husband and I interviewed two other agents who'd both been referred to us. As this was a big transaction for us, we wanted to make sure we had the right person helping us. After that initial interview we felt Andre was that person. Before looking at any properties, we met Andre at his office to review a standard purchase agreement. We went through each clause and were able to ask questions. When we were finally in the bidding process, this made it much less stressful, since we were comfortable with the language and the discussion could be all about bidding strategy. Andre is friendly and easy to get along with and knowledgable. He gave us space to establish our own assessment/feeling for each of the properties we saw, but was sure to point out things we may not have noticed. I can honestly say that after a few months of working with him, I learned so much more about houses in the Eastend and felt much more secure in our decision to buy than I had at the beginning. Some quick operational things that he did: he picked us up at our house and drove us to and from each viewing, he was able to turnaround showings within 24 hours, he dug around to find background on properties we were interested in without us asking, and he sought out insight from other professionals (lawyer/mortgage broker) for some out-of-the-box properties we considered. He never rushed us. We got to the point about 25 houses in that we felt we 'should' bid on something. He actually talked us out of it. He could tell we weren't sold on the property and made sure to explicitly let us know there was no rush. His mantra was that "The right opportunity will come along". He reminded us that since we weren't in a rush, we just needed to be patient. He was right. After looking at about 50 houses, we found the one that was right for us. Andre flew into action as we saw it on a Sunday and offers were Monday. He kept us in the loop during the day on the number of registered offers. He had papers drawn up and came to our house to talk through the bidding strategy. We ended up closing on that first house we bid on. After closing, Andre helped us navigate the process of getting a mortgage and provided referrals to lawyers and mortgage brokers. We ended up working with the lawyer he referred. And now, that it's been a month and a half since we took possession he's still checking in and asking how he can help us get settled. We ended up with our first home being much more than we expected and Andre's guidance made that possible. If you're looking for someone who is genuinely invested in helping you to find a home that meets your needs. I highly recommend you work with Andre. Andre, thank you for your card and best wishes. To say that the gift card was unexpected is an understatement. As you can tell, we will definitely put it to good use!!! Andre, your’re a good person and a good salesman. I was and am proud to tell everyone how pleased I am with your services and this transaction. Thank you – you have helped me take my first step to personal financial security. Inner unit, not as nice as ours by far, unfinished basement. What a good deal you made for me!!! The planets aligned, the deal was fantastic, the agent – super!!! I first tried craigslist attempting to sell my home privately. There were more real estate agents calling me than serious buyers. After a month, I decided to go the traditional route and interview 4 agents. Some were referrals from close friends and others who called me after seeing my craiglist posting. As I walking home one day, I noticed and was impressed with Andre’s series of large and professional open house signage leading me to a home for sale in my neighborhood and decided to include him in my agent evaluation and interview. Andre clearly stood out from his competitors. He came well prepared and established a realistic selling price in a transitioning market. He took the extra step and viewed competing homes for sale to better understand their strengths and weaknesses vis a vis my home. To get an edge and ensure a rapid sale, Andre recommended that I utilize a professional stager. Also I would like to add that his marketing brochures and photos were polished. It was the best decision I ever made. My home sold in 6 days. Yes. 6 days at 99% asking price. Not only was Andre a true professional throughout the sales process but I was very comfortable with his consultative approach and involving me in every step of the selling process. We just bought our first home with Andre and couldn't have done it without him. After our first meeting with him, we walked away with a clear understanding of the home buying process and he left knowing exactly what we were looking for. We were impressed with his knowledge, availability, professionalism and patience. He was always ahead of the game on available properties and so personable and sincere - we knew he always had our best interest at heart. And when we were ready to buy, his negotiating skills really came through. Andre taught us so much and made the experience of buying a home seamless and enjoyable. He got us the house we wanted in the location we wanted and at the price we wanted. We feel privileged to have had him as our agent. Sonia Z. & Matt W.
Bill and I just wanted to say a HUGE thank you for all of your amazing work regarding the purchase of our condo. 20+ years ago was the one and only time that we were ever involved in a real estate transaction. It was not a positive experience. We needed the process to be fast, efficient and accurate. Unbelievably, within less than 4 weeks, you found, negotiated and closed a condo for us without a single glitch. Your expert guidance, attention to detail and customer service really impressed us. Donna C. & Bill C.
Andre was the absolute best to work with. My partner and I were first time buyers and really didn't know what we were doing or what type of property would work best for our needs and the reality of our budget. Andre was patient, explaining everything about the process and giving advice along the way. When the actual search started he cast a wide net of different property types, bigger projects as well as move-in ready homes, and different neighborhoods in the city. Because we didn't know exactly what we wanted and weren't necessarily on the same page as a couple when it came to home vs. location, we had prepared ourselves for the search taking up to a year, especially with how aggressive the Toronto market is, but with Andre showing us so many different options we were able to narrow down what we wanted quickly and ended up finding a perfect first home within 3 weeks. Andre was responsive whenever we had questions or needed his opinion, often calling within minutes of me sending an email. He never tried to sell us on a house, but gave us objective opinions and ideas for dealing with different things. When we decided to make an offer on a house after sleeping on it for a night, he moved at lightning speed to get the offer together and helped us put in an aggressive bid that secured the house for us even though the sellers had been going back and forth with another interested buyer. When an inspection uncovered a few issues, he helped us go back to the seller with a revised offer. Even after we moved in, Andre continued to go above and beyond, hooking us up with cleaners to deal with a mess the sellers had left behind, checking in to see how our bathroom reno was going and even coming to see it once it was complete. We would definitely work with Andre again. He was patient, knowledgeable, and we never doubted for a second that he was working with only our best interest in mind. I cannot recommend Andre Alves and his services enough. I've told everyone I know and now want to spread the love because this guys is that good. As we all know - Real Estate transactions are some of the biggest endeavours we will make. I felt very out of my realm when having to sell my house last year and Andre took all of that and erased any fear or stress I had. His hands on approach was a relief and his ability to explain things to me in a way that truly resonated with me was invaluable. Selling a home can be difficult in the best of times, my situation was tricky as my life was turned upside down after the death of my husband. I found myself dealing with so many things I didn't understand but HAD to do. Andre swooped in and saved the day. He easily and gladly absorbed so much of the stress while making sure to include me in all decisions. I truly felt like we were partners in this experience -something I desperately needed and Andre instinctively fulfilled. He made the process as easy as possible while maintaining an impeccable sense of professionalism that was always still warm and personal. A rare talent indeed. All the personal benefits aside he also managed to get me well over asking price because of his strategic forward thinking and specific research. If you are thinking of buying or selling your home do yourself a favour and get the Andre Advantage.